By (author) George List , Edited by John McDowell , Edited by Juan Rojas E.
These twenty-one animal tales from the Colombian Caribbean coast represent a sampling of the traditional stories that are told during all-night funerary wakes. The tales are told in the semi-sacred space of the patio (backyard) of homes as part of the funerary ritual that includes other aesthetic and expressive practices such as jokes, song games, board games, and prayer. In this volume these stories are situated within their performance contexts and represent a highly ritualized corpus of oral knowledge that for centuries has been preserved and cultivated by African-descendant populations in the Americas. 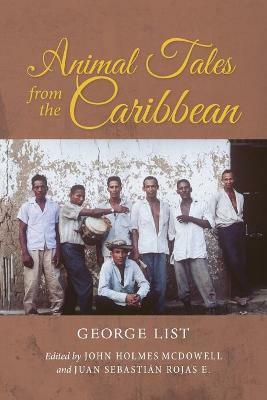 Ethnomusicologist George List collected these tales throughout his decades-long fieldwork amongst the rural costenos, a chiefly African-descendent population, in the mid-20th century and, with the help of a research team, transcribed and translated them into English before his death in 2008. In this volume, John Holmes McDowell and Juan Sebastian Rojas E. have worked to bring this previously unpublished manuscript to light, providing commentary on the transcriptions and translations, additional cultural context through a new introduction, and further typological and cultural analysis by Hasan M. El-Shamy. Supplementing the transcribed and translated texts are links to the original Spanish recordings of the stories, allowing readers to follow along and experience the traditional telling of the tales for themselves. George List (1911-2008) was Director of the Archives of Traditional Music at Indiana University in Bloomington from 1954 until his retirement in 1976. He is credited with helping to develop the Ethnomusicology Program at Indiana University and establishing the Archives of Traditional Music as a major holding of recorded sound. His published works include Music and Poetry in a Colombian Village: A Tri-Cultural Heritage. John Holmes McDowell is Professor of Folklore and Ethnomusicology at Indiana University. He is author of !Corrido! The Living Ballad of Mexico's Western Coast and Poetry and Violence: The Ballad Tradition of Mexico's Costa Chica, and author (with Francisco Tandioy-Jansasoy and Eduardo Wolf) of Inga Rimangapa Samuichi: Speaking the Quechua of Colombia. He is editor of Special Publications of the Folklore Institute and the Journal of Folklore Research Reviews. Juan Sebastian Rojas E. is Doctoral Candidate in the Department of Folklore and Ethnomusicology at Indiana University. He has conducted research about Afro-Colombian musical traditions, music and conflict transformation, the institutionalization of traditions, the culture industries, and musical archivistics.